Many of us have first-hand experience of the rattling onset of vertigo, that feeling of confusion and dread as our surroundings spin out of control even though we are seemingly standing still! The more severe forms can even cause strong nausea and vomiting, while leading to eventual loss of balance and sometimes falling. 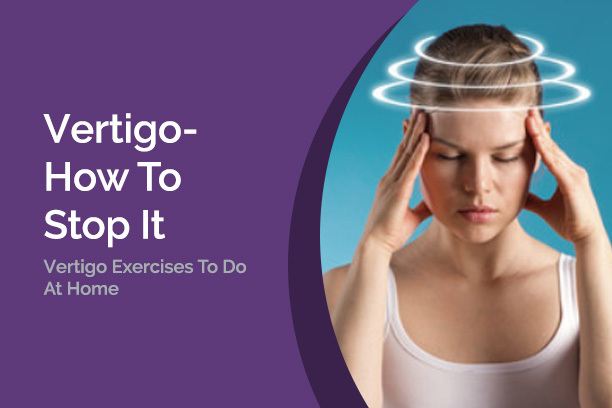 With vertigo placing us in such a precarious position, it’s important to explore the causes, as well as develop a few simple exercises you can fall back on just in case you’re caught off guard. Vertigo is usually a result of conflict between the signals sent to the brain and can be caused by injuries to the head or ear, migraines and decreased blood flow to the brain. Start by getting down on your knees and then just tilt your head back to look at the ceiling for just a few seconds. You my feel like the room is still spinning a little bit but that’s totally okay! After just a few seconds, lean down and put your head down on the floor, making sure the top of your head is on the floor and not your forehead. This means tucking in your chin a little bit so that your face is in front of your knees. Slowly turn your head towards your right elbow and hold for just a few seconds. After about 30 seconds, slowly start raising your head to back level. Almost like you’re bent-over looking for something that rolled under a chair, but keep your head turned towards the right. After another few seconds, sit fully upright, still while keeping your head turned to the right, sit in that position for an additional 15 to 30 seconds. Once done you can lean forward again and place your head back on the floor. Slowly turn your head towards your left elbow, and fold for another few seconds. After about 30 seconds, slowly start raising your head to back level. Don’t forget to keep your head turned towards the left. After another few seconds, sit fully upright, still while keeping your head turned to the left, sit in that position for an additional 15 to 30 seconds. There should be no strain here – just a light, comfortable and easy stretch! If after one round the vertigo persists, it’s important to take a few minutes break sitting down and then begin the exercises again by getting down on your knees and repeating the steps above. Just a few minutes in each position should more than ground you back and ensure the vertigo passes without causing any serious damage. 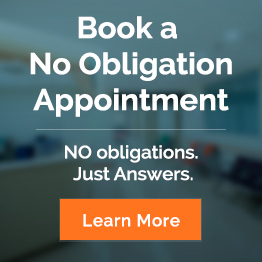 If you do however feel as if vertigo is a recurring and consistent problem, it may be time to consider consulting your doctor. Aside from the causes listed above, vertigo may also appear as a result of medication or alcohol and so it’s always a good idea to pay attention to what you ingested before the symptoms began. Try these easy vertigo home exercises to stop vertigo dead in its tracks and get you back on your feet and living your life in no time at all!